Texas Hold’em Poker has rounds of betting that happen throughout a hand. 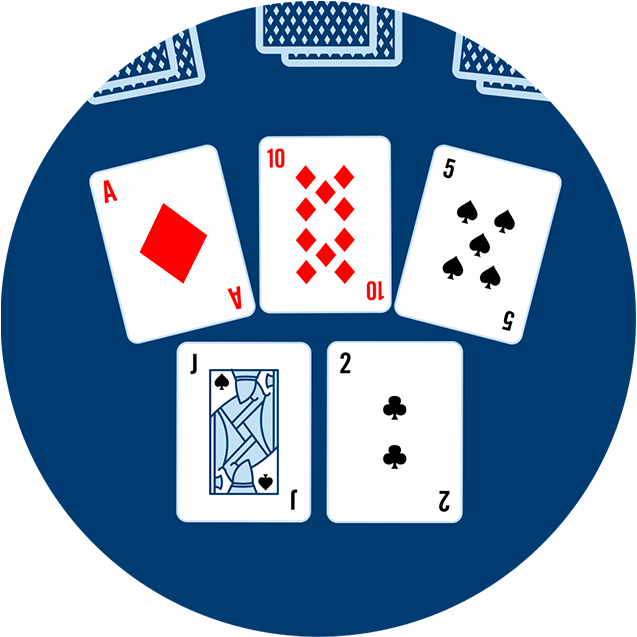 Players can choose to stay in for all rounds, or to discard their hand or “fold”, if they think they don’t have the best hand at the table. In the first round of Texas Hold’em, the pot is not built by antes, but by forced bets known as “blinds”. The blind bets are posted before any cards are dealt. The two players to the left of the button, also called “in front of the button” make blind bets. The first player posts a small blind, which is usually a fraction of the minimum bet. The second player posts a big blind, which is usually equal to the minimum bet. 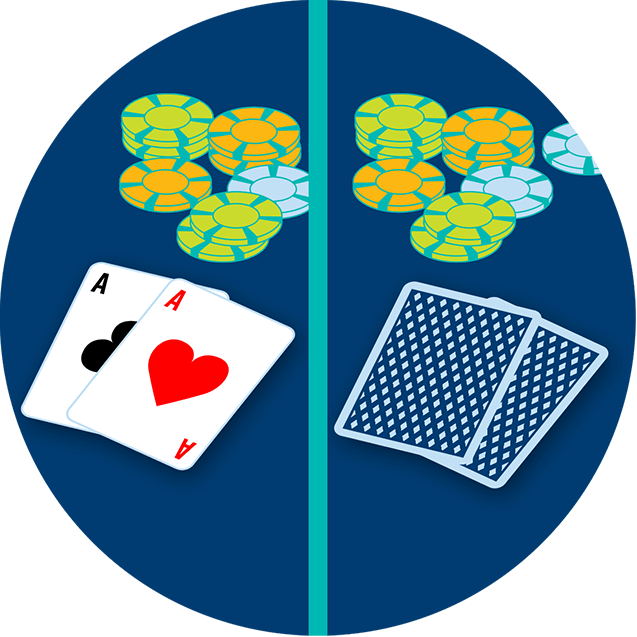 For example in a $3-$6 table, the small blind would normally be $1 and the big blind $3. 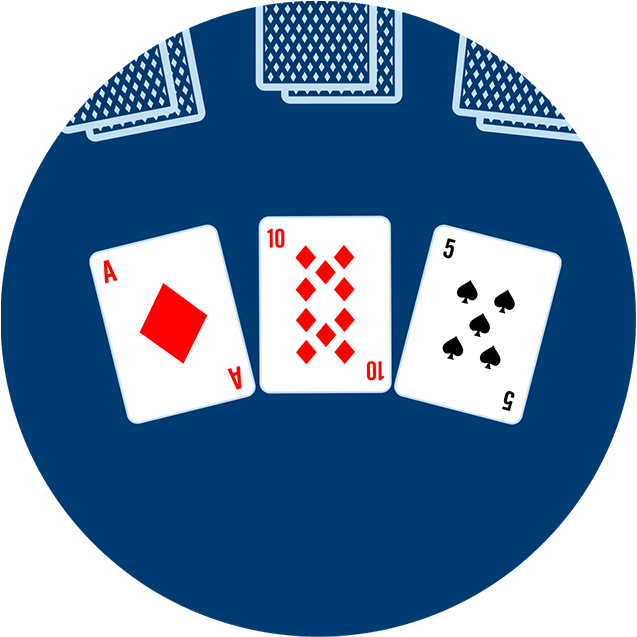 The dealer starts the game by dealing two “hole” cards, face down to each player. Then, the player immediately to left of the big blind acts first. This player has 3 options: fold, call (match the amount of the big blind) or raise (increase the bet). 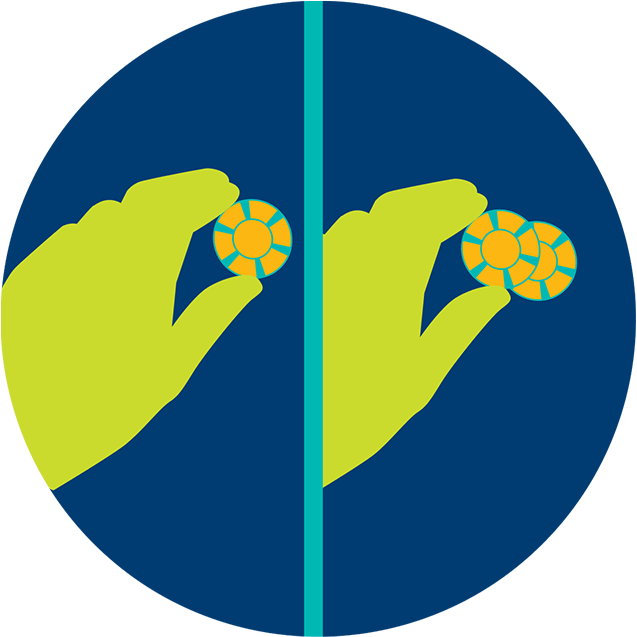 If a player raises, that new higher amount becomes the cost to remain in the current round. 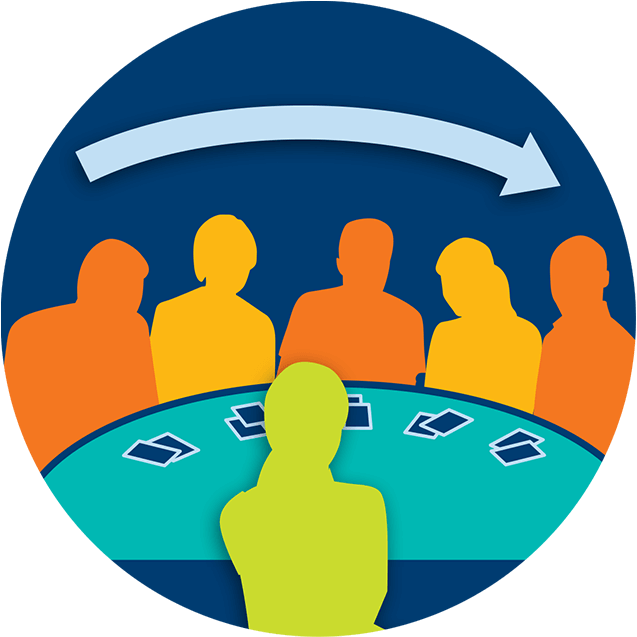 Play then moves clockwise around the table with all players getting a turn to act and choose from the three play options above. When play returns to the players who posted the blinds, they can also fold, call, or raise. But, since they already have a partial bet (small blind) or full bet (big blind) in the pot, they only have to make up the difference of the current bet, if any. Three community cards are dealt face up in the centre of the table. This is called “the flop”. Then, another round of betting ensues, starting with the player to the dealer’s left. In a $2/4 limit game, raises after the flop are in increments of $2. The dealer will let players know when the round is capped. Limit poker games are great for novice players because there is a limit to how much you can bet. This prevents players from getting pushed out of the game by players making large bets. 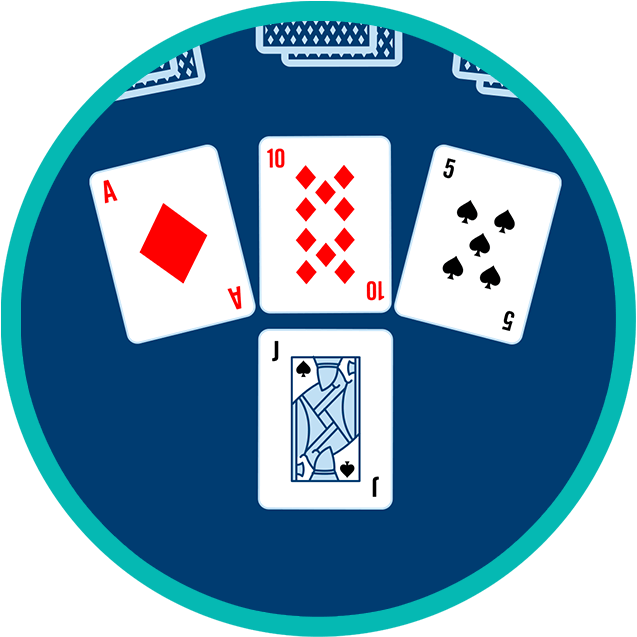 When the round of betting on the flop is complete, a fourth community card is dealt face up in the centre of the table. This card is called “the turn”. The turn initiates another round of betting, starting again with the player to the dealer’s left. Generally, the minimum bet is double the first two rounds of betting. In the case of a $2/4 limit table, the minimum bet for this round is $4. When the round of betting on the turn is complete, a fifth and final community card is dealt face up in the centre of the table. This card is called “the river”. This final round of betting, starts once again with the player to the left of the button. The minimum be there is generally the same as the previous round. There are two ways a hand can end. One is when the players left in the hand turn over their hole cards and the player with the best hand wins. This is known as a showdown. The other is where one of the players bets enough that everyone else folds. This is how most hands end in Texas Hold’em, which means the best hand doesn’t necessarily win.